Anyone interested in iPhone Widgets? 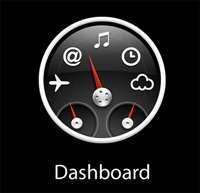 Unfortunately, Apple hasn't exactly implemented their full "Dashboard Widgets" into the iPhone operating system. This is surprising, considering that the iPad is considered to be a computer in today's society. Anyway, moving along...do you want to get widgets today on your Device? Well, this isn't exactly Apple's direct implementation, but there is an app in the app store called iGizmoz that does replicate Apple's Dashboard in a very simple, yet great apple-esque way. If you are interested, the link to the app is below. Check out the Video Review as well below! Link to youtube, the app, and the video all below.